One of the simplest and most linear cigars produced by Habanos, the Cadetes offer accessibility to everyone. Light tobacco flavors make this a mild cigar that will not aggress even in the finish. The cigars are surrounded by a silk dress which adds to the mystique of the cigar. 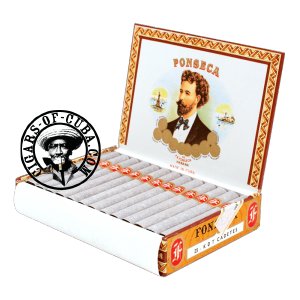 Ideal for smoking outdoors or with a late afternoon aperitif, this Fonseca acts as a support, not the main show. Linear throughout the smoke, the finish is much of the same.